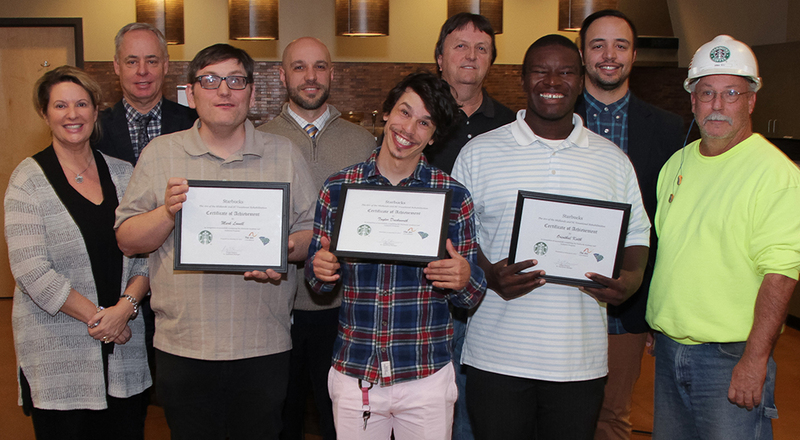 Back row (left to right): Stephen Marshall, VR Business Services Coordinator; Jacob Chorey, VR Program Planning and Evaluation Coordinator; Jerry Brown, Operations Supervisor, Starbucks; Mike Bell, Job Coach, The Arc of the Midlands. Front row: Sandi Batten, Director of Employment Services, The Arc of the Midlands; interns Mark Lowell, Taylor Duckworth, Orenthal Keith; Mike Bihl, Facilities Manager, Starbucks. 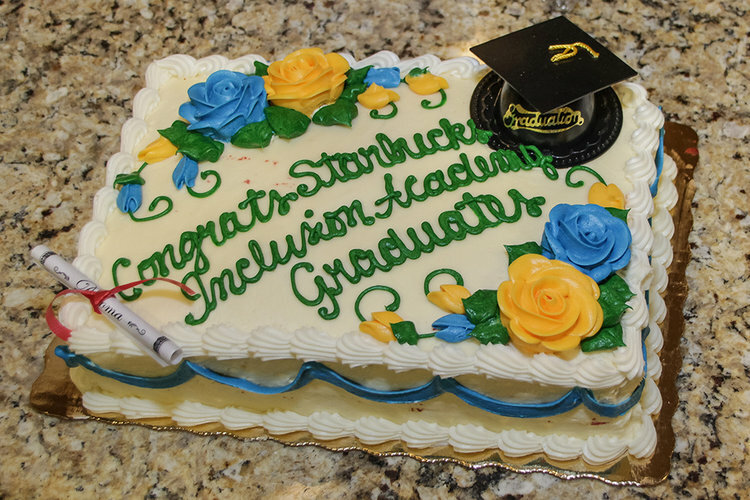 Taylor Duckworth, Orenthal Keith and Mark Lowell are the first graduates of the Starbucks Inclusion Academy. The three interns spent six weeks at Starbuck’s Sandy Run Roasting Plant in Gaston learning a variety of skills that are transferable across job settings. The Inclusion Academy is a partnership between Starbucks, VR and The Arc of the Midlands. VR provided a job coach and classroom instructors; The Arc of the Midlands provided a job coach; and Starbucks provided hard hats, ear plugs, hair and beard nets, safety vests, goggles, and gloves for the interns. Starbucks also provided orientation and safety training. 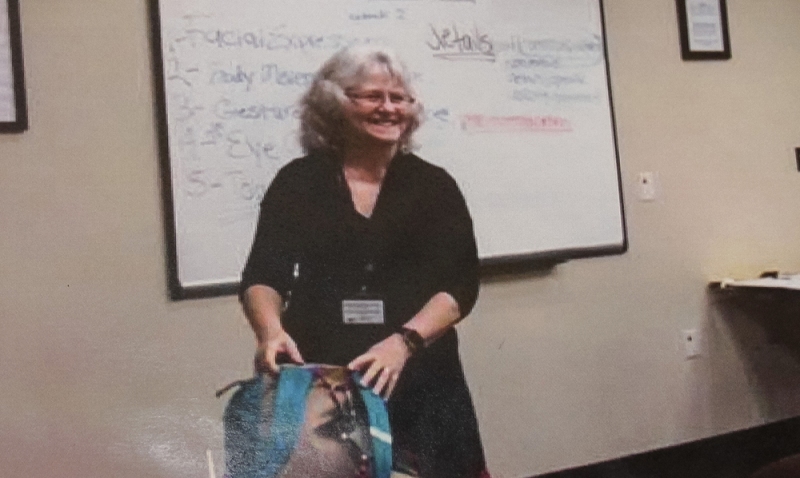 The interns received four weeks of classroom instruction provided by Carol Teal from VR's Evaluation Center in West Columbia. She was assisted by Ali Cato, Comprehensive Program Supervisor, and Stephen Marshall, VR Business Services Coordinator. Chorey and Mike Bell, the job coach from The Arc, learned tasks in the Green Coffee Bean Loading and Facilities Maintenance departments at the roasting plant and then spent two weeks training the interns on those tasks. Brown enjoyed working with the interns and appreciates the effort that each intern put into the Inclusion Academy. He adds that they all got tired and sweaty and occasionally covered in dirt. He especially enjoyed watching the interns grow and interact with the other employees at the roasting plant. All three interns have jobs lined up following the Inclusion Academy, with employers ranging from Zoës Kitchen to the Hampton Inn in Northeast Columbia to CW Resources at Fort Jackson. Carol Teal from VR's West Columbia Evaluation Center, leads a class on soft skills for the Starbucks Inclusion Academy. The interns got to keep the safety helmets they used during the Inclusion Academy as mementos.